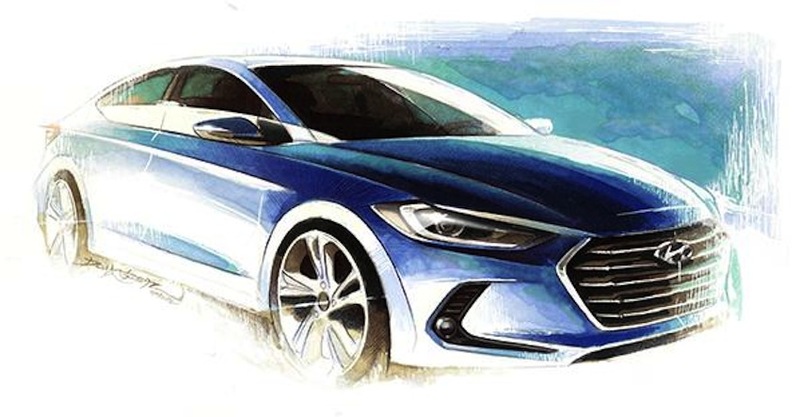 Hyundai has released a rendering of the 2016 Hyundai Elantra and if we get this car in flesh, we would be mighty impressed. Hyundai is trying to create s pace for itself in the luxury segment and premiered their best offering ‘Concept G’ at Pebble Beach past Sunday. 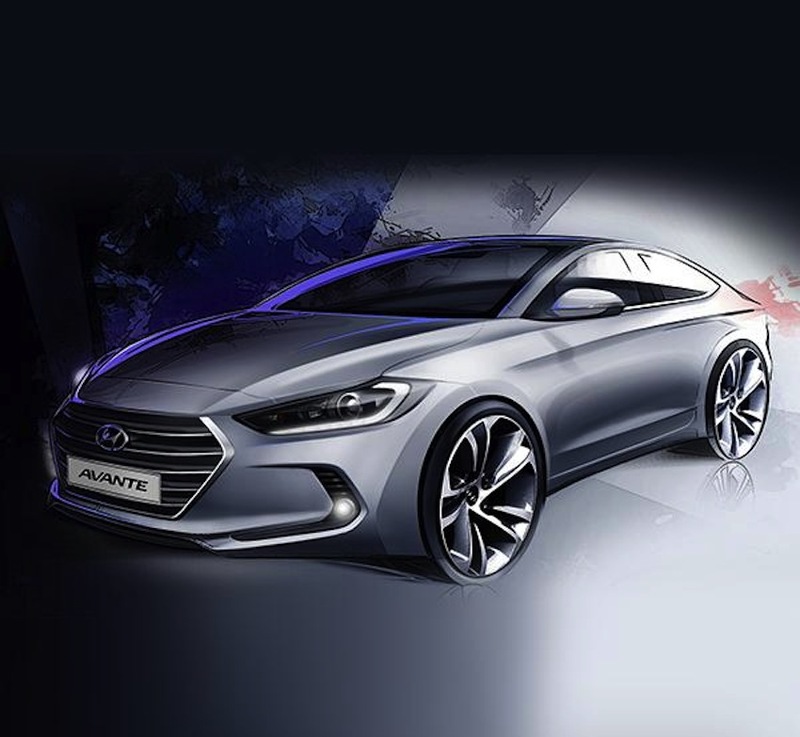 The upcoming sixth generation Elantra follows the same design guidelines and would debut at the Los Angeles Motor Show that’s scheduled to open its doors in November. The front has a massive 5 slat hexagonal grille which is similar to the one on Concept G. The car will feature a long bonnet with swept back headlamps housing an array of LED’s as well as DRL’s. The car rendered shows 20 inch alloys which we are pretty much sure, wont make it to the production version. 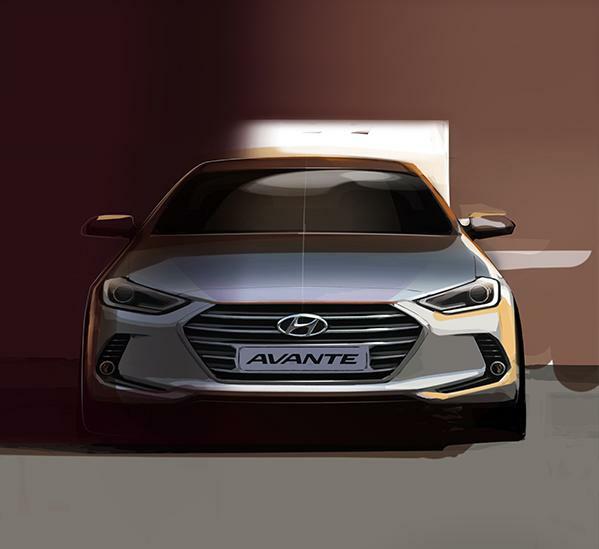 The changes made to the Elantra’s silhouette will be more evolutionary than revolutionary, and it looks like the up-swept belt line will carry over essentially unchanged from the current model. That said, the minor modifications will lower the car’s drag coefficient to 0.27, one of the best figures in its segment. According too Korean Car Blog the car will be equipped with 1.6 liter turbo charged engine punching out 175BHP of power which could not be verified independently. The turbo four will spin the front wheels via a seven-speed dual-clutch transmission with other engine and transmission options yet to be revealed. The car will boast of top of the line safety features and an eight-inch infotainment system that will be compatible with both Android Auto and Apple CarPlay. We are eagerly awaiting the launch of the car and test drive it while having some Kimchi ! !